Photography is an ever-evolving, ever-changing hobby, career and art-form. Over the years the cameras have evolved from primitive wooden boxes powered by chemicals, into technologically-advanced power-packed gizmos that enable pretty much anyone to take a good photograph in pretty much any environment. In the process, what used to be a niche and highly specialised interest, was democratised. However, of all the advancements, progressions and transformations of the last 100 years, the one that has most recently had far-reaching effects on the world, is Instagram. Instagram propelled some photographers from relative anonymity into the big league. It took other non-photographers, who had simply been taking photographs of what interested them, and transformed them into Insta-stars. Above all, Instagram helped to bring forth a whole new career path for the millennial generation – the influencer. One of the unfortunate side-effects of all of this is the hug of death. Certain locations, which offer the perfect backdrop for an Instagram selfie, have been inundated with visitors. In some cases the locations have been damaged to such an extent that they have been closed to public access. The motto of the landscape photographer used to be ‘leave nothing but footprints, take nothing but pictures, kill nothing but time’. But these days the Instagammer’s motto is more like leave nothing but litter, take nothing but souvenirs, kill nothing but the environment. As a direct result of the dawn of this new breed of photographer – namely the person who takes images purely to share online with a following on social media – locations that have been visited for a hundred years by photographers are being damaged, destroyed and closed. It might sound sensationalist, but the evidence is clear. Bush tracks and paths that were once little used and overgrown are now worn to the point of collapse. Rock structures that survived for millions of years have been eroded and destroyed. Land-owners, who were happy to let the occasional person cross their properties, are now closing the gates forever. In many cases it was just the serenity that attracted the occasional photographer to a location – but that too has been shattered. What were once quiet and lovely spots out in the countryside are now simply locations to be ticked off a checklist as Instagram users try to create their versions of the photos they’ve admired online. In Australia there are plentiful examples of the Instagram hot spot phenomenon. Once upon a time the Figure 8 Pools were a little known natural rock pool structure located on the edge of the Royal National Park near Burning Palms. Then the location started appearing in the feeds of some well-known Instagrammers and then in Australia.com’s official feed, and before you knew it the place had become insanely busy. People who had no knowledge or awareness of the dangers of the coast arrived in large numbers and, when they weren’t queuing for their turn in the pools, were getting swept off the rocks by rogue waves and being badly injured in the process. It’s got so bad there that National Parks have totally changed their information page about the Figure 8 Pools. Back in 2015 it used to say, ‘deep enough to take a swim or paddle your feet, the rock pools are home to a variety of sea life including sea urchins, chitons and zebra snails’. The National Park website has now taken down the Figure Eight Pool page. Visit the same page now and you’ll see nothing but extensive warnings about how dangerous it is and how far it is (four hours apparently). Further down the page they clearly identify the issue: ‘pick a better spot for a selfie. Instead of breaking a limb at Figure Eight Pools, take photos at some other beautiful places. Avoid the crowds that Figure Eight Pools is now infamous for’. Long before it became one of the flagship photography locations on the south coast of New South Wales, Bombo Quarry was a mecca for rock climbers. These days some of the photographers who visit the quarry do employ some basic rock climbing skills but this is to put themselves in the frame of their photograph. I’ve only lived in this part of the world for 12 years but I find it amazing how much busier Bombo is these days – it would be rare day when you get the place to yourself. Moreover it does not matter when you visit because it’s an extremely popular spot at sunrise, during the day and for night sky photography. Within the last couple of years it has also become established as a wedding photography location for Sydney newly-weds looking for something other than the classic Observatory Hill shots. 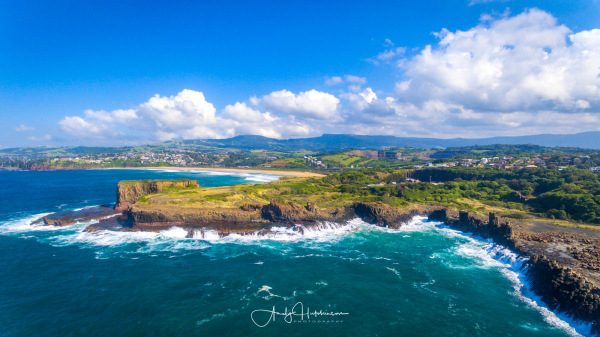 It will soon become far busier still, because the local state MP Gareth Ward announced funding for a trail hilariously named the Bombo Headland Eco Walk. I think he meant Ego, not Eco. The things people do for likes! The photographic community where I live has recently been mourning the loss of one of the most photogenic locations south of Sydney – the abandoned railway tunnel at Helensburgh. An extremely cool location in its own right, it was also home to a colony of extremely rare glow worms, which you could photograph at night using long exposures. 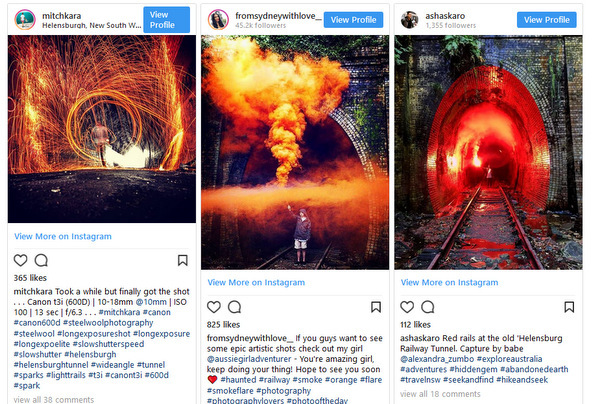 Unfortunately the tunnel has been on the Instagram map for a few years now and many of those visitors used flares or spun steel wool in the tunnel to create cliched ember shots and, in the process, nearly wiped out the poor old glow worms. Consequently, the owner of the tunnel (Crown Lands) has erected a steel fence across the entrance to the tunnel and have said that they will keep it closed until the glow worms have had sufficient time to recover. They will only be permitting limited access thereafter, probably at weekends only. And that’s why we can’t have nice things. The problem I have with all this is that I am complicit in the very problem I am highlighting. For years I have shared my landscape photographs online and given full location information for anyone that would like to visit. In my defence, I did this in the mistaken belief that the people who would visit would share the same values as me – to leave no trace – to respect the landscape. Unfortunately I was wrong. In recent months it has lead me to reevaluate how I share and what I share. For many amazing places, the cat is well and truly out of the bag, but others remain relatively unknown. So I have taken the decision to stop geotagging the photographs of all but the most obvious locations in the hope that they stay the way they are. We’ve thrown enough amazing locations under the bus already, let’s start protecting what’s left. 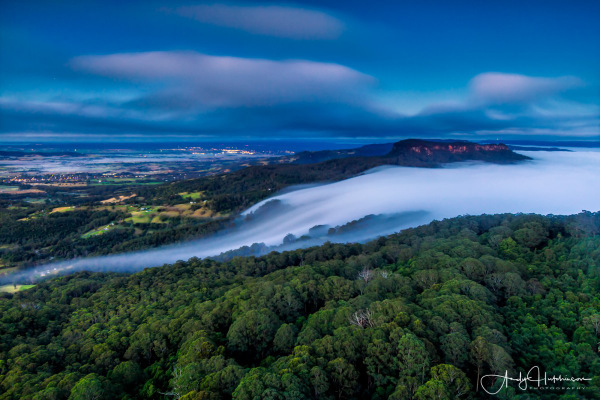 – Andy Hutchinson is a landscape photographer from the beautiful NSW South Coast. This article was originally here. This entry was posted in Opinion by Keith Shipton. Bookmark the permalink. Those darn young people with their fandangled gopros and other gadgets! How dare they develop an appreciation for photography!